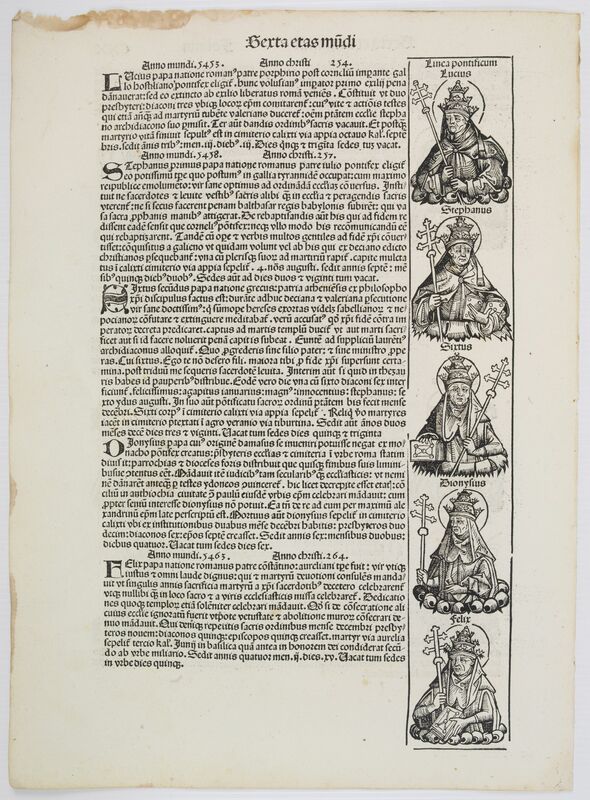 SCHEDEL - [Text page with Saint Appolonia, the patron saint of dentistry.] - Sexta Etas Mundi. Folium. CXX . SCHEDEL, H. - [Text page with Saint Appolonia, the patron saint of dentistry.] - Sexta Etas Mundi. Folium. CXX . [Text page with Saint Appolonia, the patron saint of dentistry.] - Sexta Etas Mundi. Folium. CXX . - SCHEDEL, H.
Title : [Text page with Saint Appolonia, the patron saint of dentistry.] - Sexta Etas Mundi. Folium. CXX .. 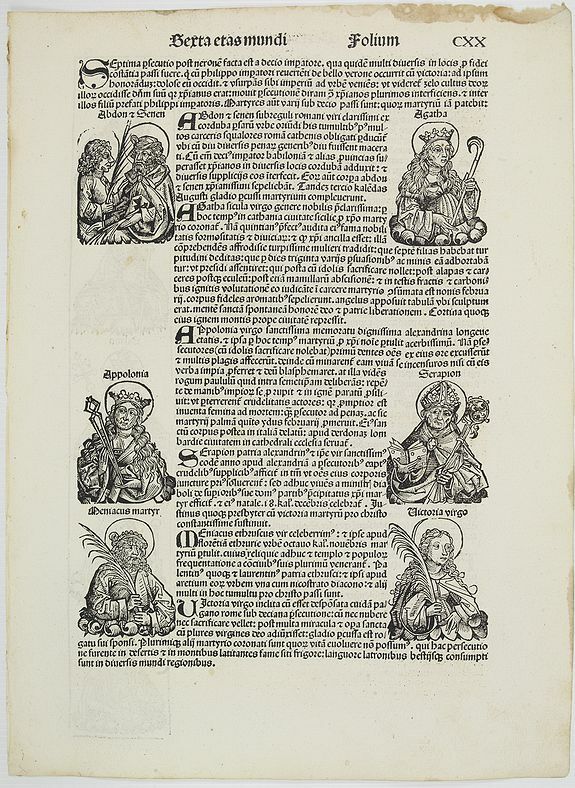 Description :Text page with woodcuts of Abdon and Senen, Agatha, Apollonia, Serapion, Meniacus, Victoria. With a wood cut of Apollonia, the patron saint of dentistry. Because of the torture Saint Apollonia endured people frequently pray her when they have a toothache and hence she has become the patron saint of dentistry. She is generally depicted in art holding a gold tooth with a pincers. Condition : Some marginal browning on the recto upper margin only. Dark impression. Else very good condition.